How Long Do Different Types of Opioid Drugs Stay in a Person’s System? Home › Methadone Maintenance Treatment Resources › I Am Pregnant; Can I Take Methadone? Getting pregnant makes a lot of people addicted to opiates like heroin and prescription painkillers decide that it is time to seek addiction treatment because they aren’t simply affecting their own life anymore. Their drug use will impact their child as it grows and develops. Further, if people want to keep the baby and raise it, they may also feel a strong urge to get clean so that they can be a good parent. These are natural impulses and they are to be commended because fighting against an addiction to opiates is incredibly difficult, but recovery is the best choice a person in that situation can make. One of the more common elements of opiate addiction treatment is methadone. However, there exists a strong stigma against methadone. Critics consider its use to be substituting one addiction with another. Methadone is, after all, itself an opiate. These attitudes can send a conflicting message. You know that you need treatment for yourself and for your child, but the treatment seems to also be dangerous. It feels like a no-win situation. However, methadone use is an excellent option during pregnancy, and the following discussion should help you to feel more informed and prepared to decide. If you have questions and would like to have them answered by an expert, call us at 800-530-0431. You can get everyone of your concerns addressed and all of your questions answered in a clear, easy to understand way. With a child on the way, you don’t have a lot of time to make a decision, so you need the best guidance you can find. Let us help. Methadone treatment improves the health of the mother and unborn child. Every woman who continues to use drugs faces a higher than normal risk for general medical complications as well as ones related to childbirth. However, research shows pregnant people who are on methadone maintenance show a much greater improvement in their pregnancy-related health than do people who remain untreated. But, people who are on methadone and who have stopped injection and drug use before they get pregnant face far less likelihood of experiencing these outcomes or any other complications during their pregnancy. Further, patients in methadone-treatment, when compared to those who remain untreated, have much better nutrition and overall health during their pregnancy because it gives them stability. In addition to the benefits of methadone on pregnancy, users also experience better birth outcomes than people who remain untreated. In comparison, pregnant people on methadone experience spontaneous abortion, placental insufficiency (the placenta is unable to fully support a developing child), and other condition at a much lower rate than opiate addicts not in treatment. 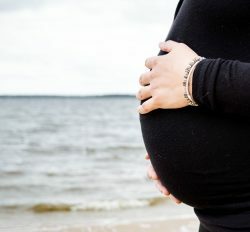 Pregnant people who undergo methadone maintenance also experience longer gestational periods, leading to a better developed child, and higher birth weights than non-treated people do. Most babies who experience methadone treatment in utero are completely healthy, and they generally have better outcomes than those exposed to heroin and other illicit drugs. When compared to parents who choose not to have treatment, pregnant people who take methadone experience less in utero growth retardation or neonatal death. Although these babies tend to be smaller at birth than those who are never exposed to any drugs, the differences in size diminish over time. If you are pregnant and entering treatment for opiate addiction, methadone maintenance is a great option for both your recovery and for the health of your child. To learn more, call 800-530-0431 and speak with an expert. This is an important decision, so don’t wait.